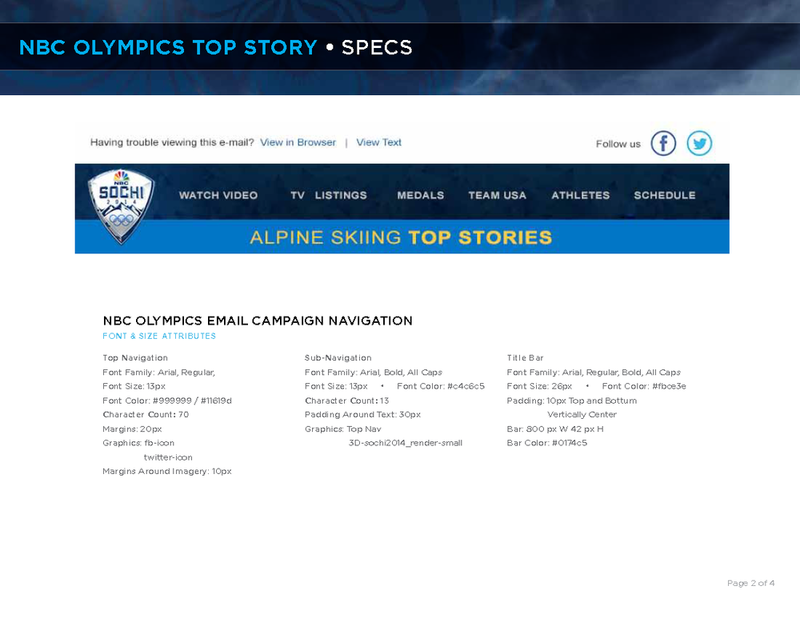 As the Lead Visual Designer for the 2014 Sochi Winter Olympics, one of my projects was to coordinate with the Web Development team to manage and design The NBC Olympic Mobile Website. The site contains information on each event as well as giving up to date standings. The project was well received by The Development Team and the site went live in February of 2014. 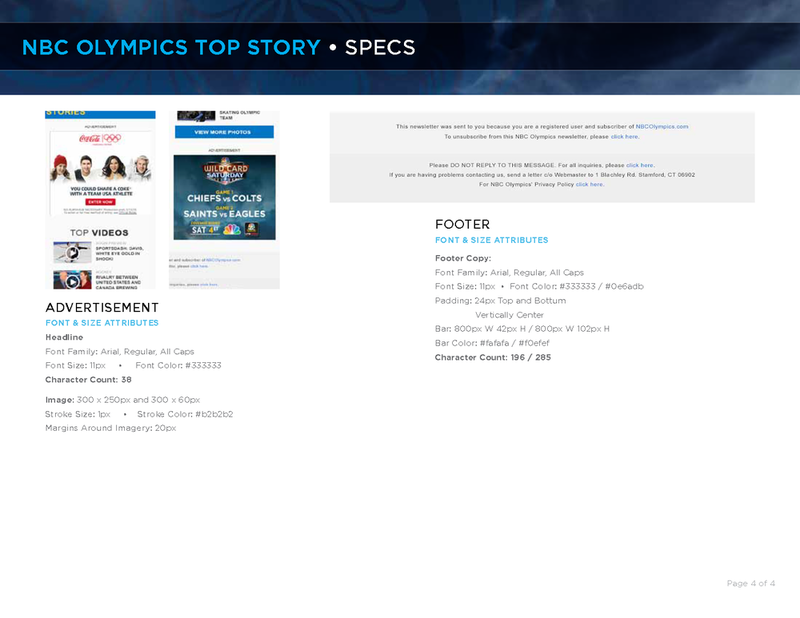 My work on nbcolympics.com helped NBC Sports Group because the 2014 Sports Emmy Award Winner for Outstanding New Approaches in the Sports Event Coverage Category. For this project, I designed and cultivated style guides for the NBC Olympic Email Campaign. 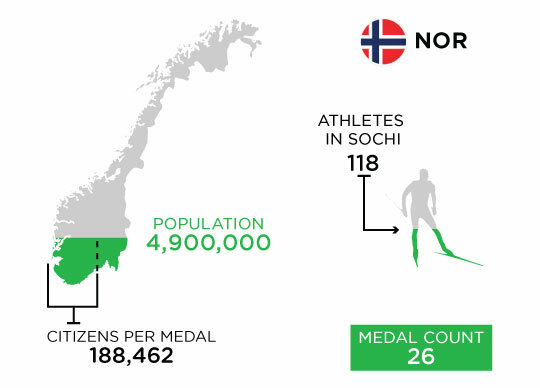 This Campaign was devised to inundate fans with up to date news about medal counts and team standings during the 2014 Olympic games. 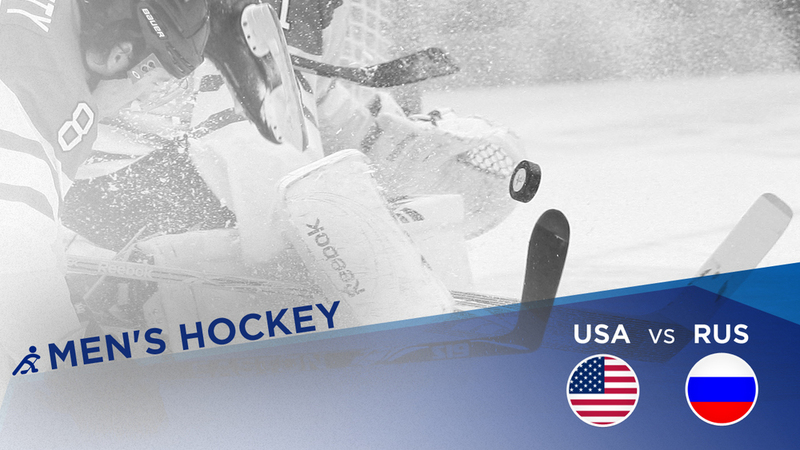 On this project, I conceptualized and designed Match-Up Graphics for Men and Women’s Hockey as well as Men and Women’s Curling to be posted on the NBC Olympic Website. 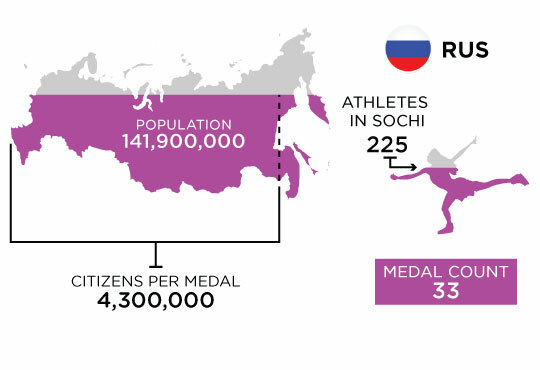 Each graphic conveyed what countries would be competing in the upcoming day’s events. 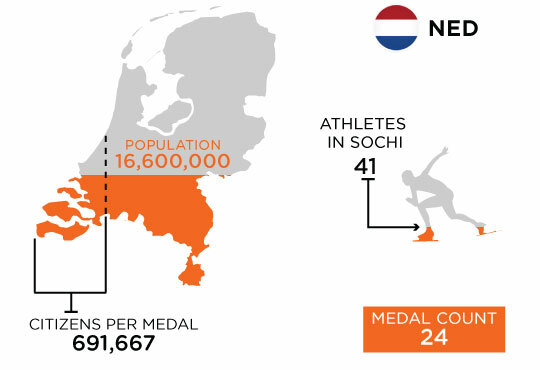 One of my responsibilities was to coordinate with the Media Team to manage and design the Olympic Medal infographics. 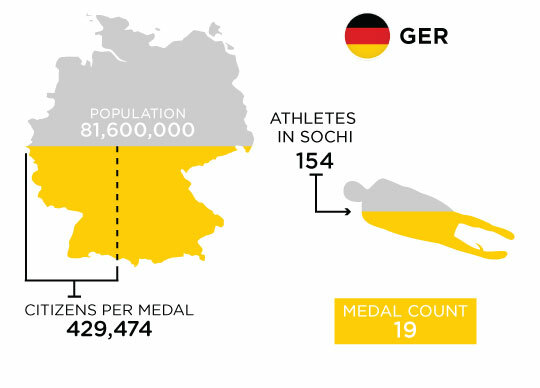 The infographics showed the top six ranked countries, depicted what event each country led in gold medals, and showed population size relative to athlete count.